Hello and welcome to exampundit. Here are the important Daily Current Affairs 13 November 2018. These are important for the upcoming IBPS PO and Clerk 2018 Exams. The Indian unit of China’s largest bank, the Industrial and Commercial Bank of China has set up $200 million fund for investing in the promising Indian micro, small and medium enterprises and ventures, its official said here. Zheng Bin, CEO of the Industrial and Commercial Bank of China (ICBC) India on Monday gave an overview of Indian start-up ecosystem and how to invest in them at the 2nd ‘Start-up India’ Investment Seminar organised by the Indian Embassy here. 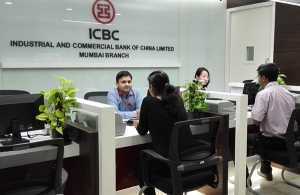 The ICBC, a top state-run Chinese bank which is the country’s largest lender by market value, opened its branch in Mumbai in 2011. More than 350 Chinese mostly representing Chinese Venture Capital (VC) funds, angel investors participated in a day-long pitching session and seminar organised by the Indian Embassy in partnership with the Start-up India Association (SIA) and Venture Gurukool. Cipla has entered into an agreement to acquire US-based specialty pharma company Avenue Therapeutics Inc for $215 mn or around Rs 15.6 bn. This is in line with Cipla’s strategy of building a specialty drugs pipeline in the US. Cipla’s US subsidiary InvaGen Pharmaceuticals Inc will make the acquisition in two stages, the company said. In the first stage, InvaGen or its affiliates will acquire a 33.3 per cent stake in Avenue’s via new shares for around $35 mn (currently expected to be 5,833,333 shares at $6.00 per share). Upon the completion of the first stage, InvaGen will appoint three members (including one independent) on Avenue’s Board of directors which currently comprises five members. In the second stage, InvaGen will acquire the remaining shares of Avenue’s common stock for up to $180 mn. The Indian Strategic Petroleum Reserves Ltd (ISPRL) on November 12, 2018 signed a Memorandum of Understanding (MoU) with the Abu Dhabi National Oil Company (ADNOC) in Abu Dhabi to explore the possibility of storing ADNOC crude oil at ISPRL’s underground oil storage facility at Padur in Karnataka, which has a 2.5 million tonne capacity. The agreement was signed by Abdulla Salem Al Dhaheri, Director of Marketing, Sales and Trading at ADNOC and ISPRL CEO, MD HPS Ahuja on the sidelines of the Abu Dhabi International Petroleum Exhibition and Conference (ADIPEC). Union Petroleum Minister Dharmendra Pradhan was present on the occasion along with UAE Minister of State and ADNOC Group CEO Dr. Sultan Ahmed Al Jaber. Under the agreement, ADNOC is expected to store crude in compartments at Padur. The MoU follows the arrival of the final shipment of the initial delivery on November 4 of ADNOC crude to be stored in another ISPRL underground facility at Mangalore, also in Karnataka, which will store 5.86 million barrels of ADNOC crude oil. Flipkart co-founder Binny Bansal on November 13, 2018 announced his resignation as the CEO of the group, effective immediately. Kalyan Krishnamurthy will continue to be the CEO of Flipkart that now includes Myntra and Jabong, which will continue to operate as separate platforms within the Flipkart business. Further, Ananth Narayanan will continue to be the CEO of Myntra and Jabong and will report directly to Kalyan. Sameer Nigam will also continue to be the CEO of PhonePe. Both Kalyan and Sameer will report directly into the board. The 38th India International Trade Fair (IITF) will begin from tomorrow at Pragati Maidan in New Delhi. The 14-day annual event will continue till 27th of this month. This year the theme of the fair is – Rural Enterprises in India. Afghanistan is the Partner Country, while Nepal will be the Focus Country. Jharkhand is participating as a Partner State in the event. Around 800 participants from States and Government Departments, domestic and International companies are taking part to showcase their product. With a view to provide a hassle-free visit of the fair, 50 per cent of the tickets will be sold in advance while rest of the tickets can be purchased by the visitors on the same day from 66 metro stations. For the general public, the trade fair will open from 18th to 27th of November. During a public holiday, the price of the ticket will be 120 rupees for adult and 60 rupees for the child. Rural Development Minister Narendra Singh Tomar will now hold the charge of the Ministry of Parliamentary Affairs following the demise of Union Minister Ananth Kumar. President Ram Nath Kovind has assigned the charge to Mr Tomar. While Minister for Statistics and Programme Implementation D V Sadanand Gowda has been given the charge of the Ministry of Chemicals and Fertilizers, in addition to his existing portfolio. Minister of State for Human Resource Development Satya Pal Singh launched the Leadership for Academicians Programme, LEAP and Annual Refresher Programme In Teaching, ARPIT in New Delhi on Tuesday. Addressing the gathering, the Minister said that developing good teachers is an arduous task and if teachers show enough commitment, ARPIT will go a long way in empowering the teaching faculty. He said, committed teachers, will develop confidence and competence. He also added that combining the qualities of a good teacher and an effective leader is very difficult. Human Resource Development Minister Prakash Javadekar in a video message highlighted the need for constant updation to keep abreast of recent developments which will enrich the teaching and learning experiences. ARPIT is a unique initiative of online professional development of 15 lakh higher education faculty. For implementing ARPIT, 75 discipline-specific institutions have been identified and notified as National Resource Centres in the first phase. The Union Government has set up a state of -the- art National Data Repository. The information was shared by Union Petroleum Minister Dharmendra Pradhan while speaking at the DG Carbons Roadshow programme in Abu Dhabi. The Minister said that the repository is a database of all the geo-scientific data of hydrocarbon resources in the country. He added that it is equipped with cutting-edge technology and will provide ready access to interested companies. 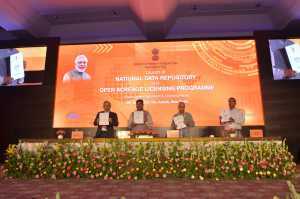 With the introduction of the National Data Repository, India has joined the league of countries like UK and Norway which have a National Data Repository for the upstream sector. The National Data Repository (NDR) is an integrated data repository of Exploration and Production (E&P) data of Indian sedimentary basins. It is hosted at Directorate General of Hydrocarbons (DGH) in Noida. The DGH is a technical arm of the Ministry of Petroleum and Natural Gas (MoPNG). The repository offers a unique platform to all E&P Operators, E&P Service Companies, E&P Investors and Academia to delve inside diverse E&P datasets of Indian sedimentary basins. The government Thursday decided to release a Rs 75 commemorative coin on the occasion of 75th anniversary of the hoisting of Tricolour for the first time by Netaji Subhash Chandra Bose at Port Blair. A notification has been issued by the Ministry of Finance in this regard. This coin will bear the portrait of Netaji Subhash Chandra Bose saluting the flag on the background of cellular jail. The 35-gram coin will be composed of 50 per cent silver, 40 per cent copper and 5 per cent each of nickel and zinc. On 21st of last month, Prime Minister Narendra Modi had hoisted the National Flag at Red Fort and unveiled the plaque to commemorate the 75th Anniversary of the formation of Azad Hind Government, formed by Bose. The inaugural edition of Indian Navy -Indonesian Navy Bilateral Exercise ‘Samudra Shakti’ began on November 12, 2018 at Surabaya, Indonesia. The exercise will conclude on November 18, 2018. The Indian Naval Ship (INS) Rana of the Eastern Fleet based at Visakhapatnam under the Eastern Naval Command arrived at the port of Surabaya to participate in the exercise. The exercise aims to strengthen bilateral relations, expand maritime co-operation, enhance interoperability and exchange best practices. The strategic partnership between both the two nations was elevated to ‘Comprehensive Strategic Partnership’ during the visit of Prime Minister Narendra Modi to Indonesia in May 2018. The Union Government on November 12, 2018 approved the process of constitution of new boards of Governors for 20 IIMs as per the IIM Act 2017. Speaking on the same, Union Human Resource Development Minister Prakash Javadekar said that the process of constitution of boards for the IIMs, which have been given full powers of running the institutions, is a major development which signals complete autonomy of quality institutions in higher education and will ensure a quality expansion of higher education. The approval for the constitution of the new boards for IIMs has been given in consultation with the Union Ministry of Law and Justice. The process is in accordance with the provisions of Section 10 of the IIM Act 2017. The IIM Act is a historical step of the Government that for the first time provided comprehensive autonomy to the higher educational institutions. The Department of Biotechnology (DBT) under the Union Ministry of Science and Technology and the Wellcome Trust (WT) of the United Kingdom on November 12, 2018 celebrated 10 years of their joint partnership at an event in New Delhi. The DBT and Wellcome Trust jointly support a three-tier fellowship programme on biomedical research at post-doctoral level. While speaking on the occasion of 10 years of their joint partnership, President Ram Nath Kovind suggested four frontlines in the battle to safeguard planet, species and future. The first is the environment; second frontline is that of lifestyle diseases; third frontline is infectious disease; and the final frontline is diseases of the brain. Amnesty International on November 12, 2018 stripped Myanmar’s de facto leader Aung San Suu Kyi of its highest honour, the ‘Ambassador of Conscience’ award, over her indifference to atrocities committed by the Myanmar military against and increasing intolerance of freedom of expression. The Amnesty International, an international human rights group, named Suu Kyi as its 2009 Ambassador of Conscience Award recipient when she was still under house arrest for her opposition to Myanmar’s oppressive military. However, considering her failure to speak out and her shielding of the security forces from accountability for the violence against the Rohingya, the organisation withdrew the honour from her. Facebook-owned WhatsApp selected 20 research teams worldwide including experts from India and those of Indian origin who will work towards how misinformation spreads and what additional steps it could take to curb fake news. The 17th ASEAN Economic Community (AEC) Council Meeting was held in Singapore as part of the 33rd ASEAN Summit and Related Summit Meetings. Apart from taking stock of regional economic integration efforts during the year, the meeting reiterated ASEAN’s commitment to free and open trade by deepening the integration of its economies and realising the AEC Blueprint 2025. The meeting was attended by the ASEAN Economic Ministers and AEC Ministers. They signed the ASEAN Agreement on e-Commerce, Concluded the ASEAN Trade in Services Agreement (ATISA) and Finalised the Fourth Protocol to Amend the ASEAN Comprehensive Investment Agreement (ACIA). Indian wrestler Bajrang Punia recently touched a new high in his career by achieving the number one rank in the world in the 65kg category. Bajrang was placed atop the ranking table with 96 points in the United World Wrestling (UWW) list. United World Wrestling is the international governing body for the sport of amateur wrestling. Its duties include overseeing wrestling at the Olympics. Bajrang has won five medals this season, including Common Wealth Games and the Asian Games gold and a silver at the World Championship in Budapest. 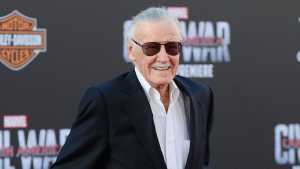 Stan Lee, person behind Spider-Man, Iron Man, the Hulk and a convoy of other Marvel Comics superheroes that became mythic figures in pop culture, died on November 12, 2018. He was 95. As a writer and editor, Lee was the main person behind the expansion of Marvel into a comic book in the 1960s. In collaboration with artists such as Jack Kirby and Steve Ditko, he created superheroes who would enthrall generations of young readers. Dozens of Marvel Comics movies, with nearly all the major characters created by Lee, were produced in the first decades of the 21st century.